Hey Bachelor Nation, we’re back with another recap of Bachelor in Paradise. PSYCH! Taylor comes on the show to talk about being a content creator and how he’s planning out his next year of content. The crew also goes into their own experiences with The Division and some E3 memories. Go at a kebab, make us all proud. Best Speakers 2018: Tinkkz, Sage, Fox, rxylaT. 82 – A Longer Episode, Just for You. 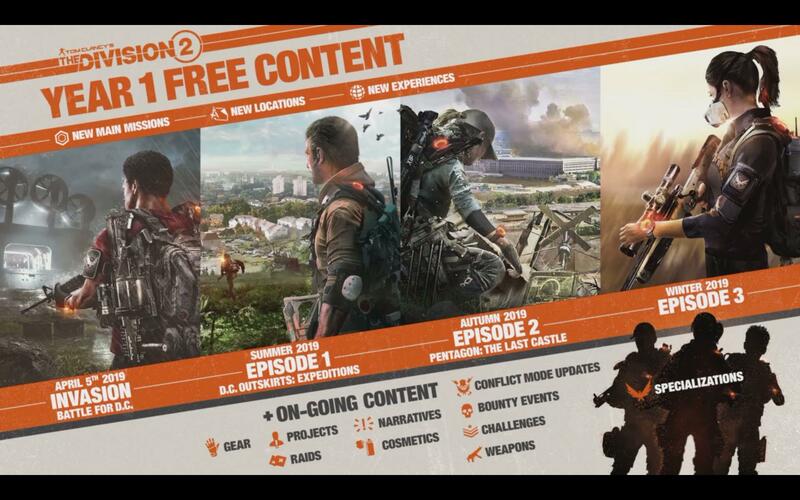 As promised on the AF Edition of the show, the cast is back and doing a longer episode about The Division 2. All sorts of gameplay from the E3 demo got broken down a little more in depth as they made some new realizations rewatching the gameplay captures. There’s a lot of brainstorming as well regarding what they were hoping to see when the game launches and despite any tangent they told you they didn’t apologize for, they absolutely do. Make sure to follow the crew on Twitter: Tinkkz, Sage, Fox & Rem. The cast gets together to give their final thoughts on their E3 experience. Since being home, they reflect as a group on the memories and a lot of the people they met. There were games too, which they sort of focus on. There’s a lot of laughs as well, that noise you hear in the background is Fox’s fidget spinner, it couldn’t be removed completely. The rest of the episode though? Sounds pretty great. Everyone will be back next week, into that Division swing, as they talk about all the news and things people may have missed from the reveal. Catch you next time! Follow the crew on Twitter: Tinkkz, Sage, Fox & Rem. 81 – Sage is so Feisty! The crew is pleased as punch to talk about State of the Game 100 while getting ready for E3. Sage gets really feisty in this episode and everyone seems to love it. Don’t think he drops that wholesome though, it’s still there in full effect. Tinkkz has been rolling around Professor X style in her shiny new ride and is back post leg break. It’s an exciting time for Remy as he realizes he’ll be pushing her around for the entirety of E3. Will the cast make it to E3? Will Sage be feisty more? Can Tinkkz now read all of our thoughts? Find out next time, next Bombshell time, same Bombshell channel. Tinkkz, Rem and Sage get together to talk about the current happenings of their lives. Patch 1.8.1 will be along shortly and they decided for the time being to wait until they play it to talk about it more in depth. This week was a light & fluffy discussion regarding E3, The Division 2 hopes and Egyptian history. Wait, is that last one actually a thing? GL HF!